I finally had a day at work suitable for wearing a skirt. Of course I chose a pencil skirt. 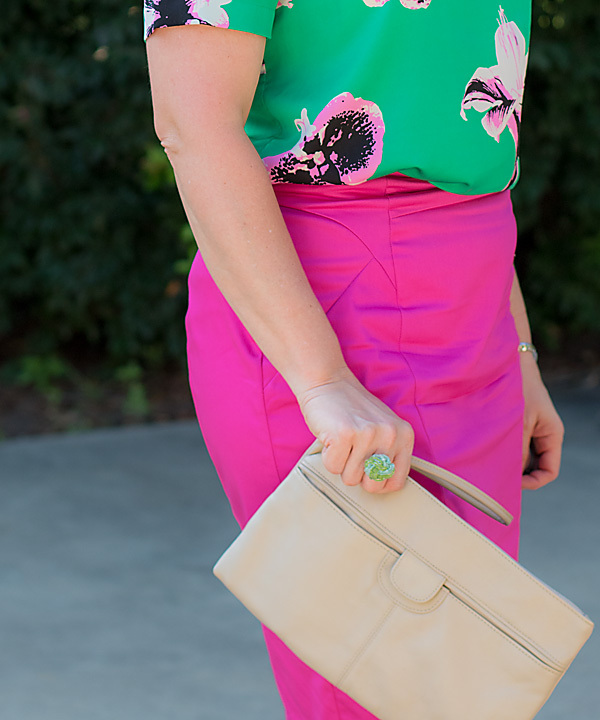 It’s my go to choice for the office, but outside of work, I love a full midi or aline skirt. 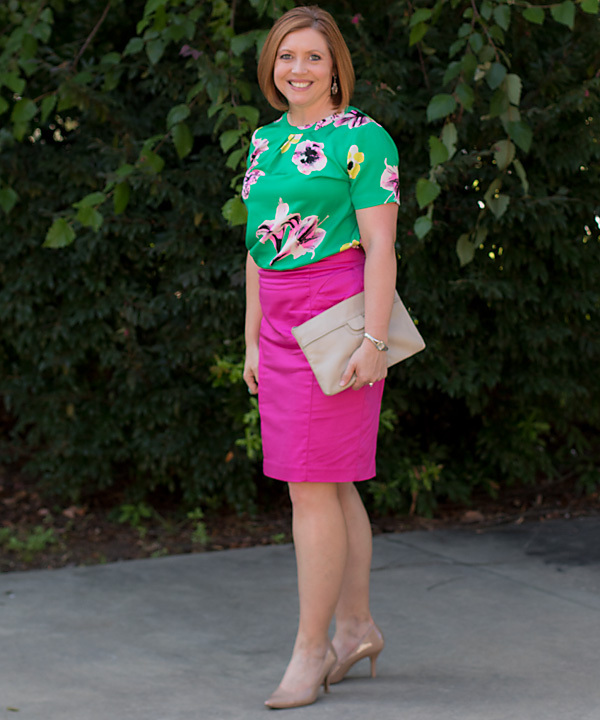 I had this top and skirt combination in my head last year and never got around to wearing it. This top has an open back that’s not suitable for my office so I also threw a cropped black blazer over it. And who would have thought that you could find a stunning pair of statement earrings at Tuesday Morning? for around $6? I’ll let you in on a little secret. I rarely never pay more than $10 for a pair of earrings. I love costume jewelry and the cheaper, the better. This ring is a DIY from a vintage clip on earring. I just cut the clip off and glued it to a ring base from the craft store.